It is with great sadness that our family announces the passing of Mario on Sunday, October 21, 2018 at St. Paul’s Hospital. Mario was born in Trevi Nel Lazio, Italy. His family immigrated to Winnipeg, MB when Mario was 12 years old. Mario was born a salesman. 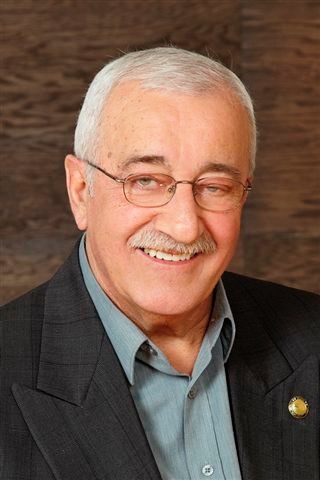 He is best known for having been a Realtor in Saskatoon for 48 years. His hard work, determination and charismatic personality won him, not only the loyalty and respect of his clients but the admiration of his peers as well. Mario loved to spend time with family and friends at his cottage at Candle Lake. Mario married Alma Laramee in 1958 and had 4 children. Mario was predeceased by his parents Amalia and Donato, his daughter Linda, his son Don and his niece Cindy. He will be dearly missed by Joy and Garnet Wehner and their families; Jason, Iryna and Dominic Wehner and Dima Mlavets. Jarrett, Sarah, Branden, Noah and Ellie Wehner and Kayden Krushelliniski. Sheldon, Taryn and Christian Wehner. Jody and Aly Jacobucci and Calvin Dyck and Don’s son Jessie Jacobucci. He will also be missed by his siblings; Mike and Margaret, Candido and Roslynn, Maria and Peter, Vic and Colleen, as well as many numerous nieces and nephews. Mario and Susan were married in 1994 and he will be dearly missed by his wife Susan Jacobucci and his step family, Jeff and Rose Sautner, Patrick, Lauren, Gabriel and Peyton Sautner and his mother and father-in-law, Frank and Barbara Flahr and their family, and not to forget his fur baby, Sugar. The Mass of Christian Burial will be celebrated at 10:30 a.m. on Saturday, October 27, 2018 at St. Philip Neri Roman Catholic Church (1902 Munroe Ave. S.) in Saskatoon. The Celebrant will be Fr. Mike Dechant, OMI. The Rite of Committal will be held at a later date. Arrangements in care of David Schurr – Mourning Glory Funeral Services (306) 978-5200.